CBS is more than just a technology consulting and services firm. We are a mission-enabler, providing nonprofit, government and educational organizations with customized design, implementation, training and ongoing support services for their software technology needs. 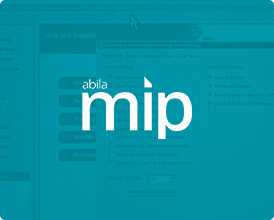 Abila MIP™ is a nonprofit fund accounting and financial management software solution, addressing your specific needs to help you succeed. 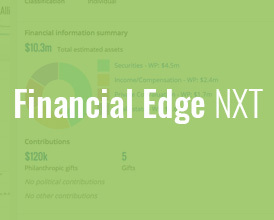 Financial Edge NXT is the award-winning, cloud-based fund accounting solution designed to provide fiscal transparency and accountability to nonprofits. 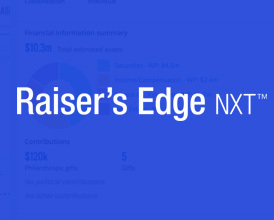 Our Raiser’s Edge/NXT training and consulting is unique, assigning a single consultant to your organization throughout your training and/or consulting process. 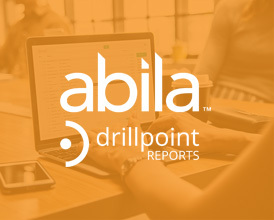 DrillPoint Reports offers you the scalability to create simple or complex financial reports, all integrated with your Abila Fund Accounting™ software. The entire team at Capital Business Solutions has been great to work with. 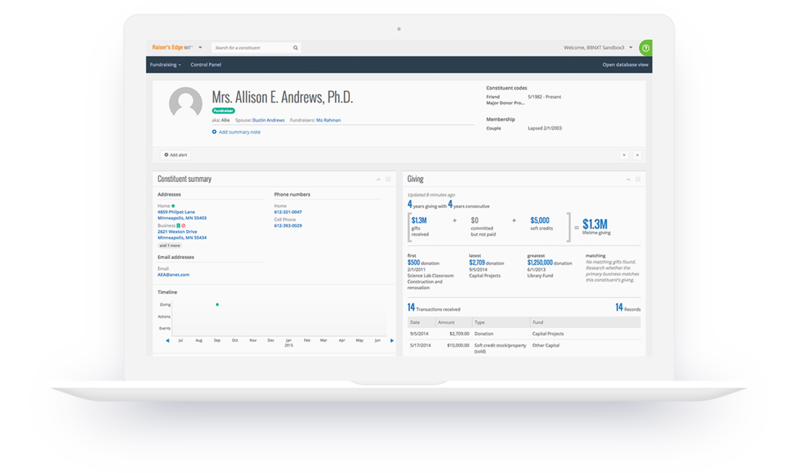 Thanks so much for recommending and implementing our transition to the Blackbaud Accounting System. We are pleased with the support we are receiving from Blackbaud. The flexibility in the query function was amazingly useful to us and our external auditors as we breezed through the year-end audit. I am always pleased to recommend Capital Business Solutions and Blackbaud to other organizations. Alyson’s attention to our questions and her knowledge of the product is exceptional! Working with her has been way beyond beneficial. She has successfully trained four different employees on a wide variety of needs for our department that made us successful – something that was in question several times on our journey as we have experienced employee turnover. Thank you for the expertise you and your team provide. Jason was wonderful to work with. He was efficient and addressed my concerns. Even though I was inexperienced in the Foundations accounting and financials he was patient and was able to decipher my questions. Delivery was above my expectations. I’m sure we will use your services again. Thank you much! Capital Business was definitely a deliverer! Alyson- I wanted to thank you for such a tremendous job with training last week! Our staff got so much out of it and the leadership team has complete confidence that the partnership with CBS will take our database capabilities to another level. What we’ve learned just this morning is better than all the training we ever got at Blackbaud. Capital Business Solutions made switching software a simple conversion. They customized the product to meet our needs and the way we do business. Thanks to Capital Business Solutions, we have been more productive with our software than we ever thought possible. We have used CBS for several projects (converted CCDS from a DOS base of Blackbaud to windows a few years ago, converted our student billing a couple of weeks ago and several other engagements). I would never even consider using anyone other that CBS to help with a Blackbaud issue. They are very smart, professional, provide great customer assistance and very responsive. I do not know what more I can say except you cannot go wrong with them. We enjoyed having Joon on site, it was very helpful and insightful for our entire accounting and HR group. He delivered everything that we asked and was great to work with. I would absolutely recommend him to train others. We were fortunate enough to receive a very comprehensive demonstration on the Blackbaud software from Capital Business Solutions. They demonstrated a very strong knowledge of the industry and patiently answered any questions we had during the demonstration. We elected to go with Capital Business Solutions in order to benefit from the on-site set-up and training offered. Their assistance and implementation of the software made the conversion much easier. Capital Business Solutions provided a painless, “no-hitch” conversion from our antique software to the Blackbaud system. Not being strong computer users, we depended heavily on Capital Business Solutions to provide guidance and training for the new system. They cam through beautifully and their assistance with the redesign of our Chart of Accounts has proven invaluable. I will recommend their services without hesitation. Working with Capital Business Solutions was great — they really offer a knowledgeable and affordable alternative to other sources for Raiser’s Edge training. Our consultant’s Director of Development experience was key to the success of our engagement. The DrillPoint Training went great. Joon was a delight to work with. I just wanted to say thank you for the services Capital Business Solutions provided to us. I also wanted to let you know that Jonathan did a great job and was a pleasure to work with. He was very responsive to our questions (which were many), and he always followed up on things, even if we didn’t. I really appreciate how proactive he is. We will definitely keep you in mind for future projects (which I have a few in mind already). We could not be happier. Joon has been thorough, patient with me explaining things in layman’s language and we are really looking forward to him being here training with the team. We have struggled with our software and a parade of department heads who each blamed all our problems on Abila. I finally feel like I am getting good information. Finding Capital Business was a blessing and Joon has been a godsend. The Enrichment Center is pleased with our relationship with Capital Business. Jason has always been a valued resource each time we’ve had the opportunity to work with him, both on site and remotely. Our 3rd party IT support engineer commented that we would not have gotten the FENXT upgrade/conversion completed without Jason’s guidance as we were not getting proper support from Blackbaud.